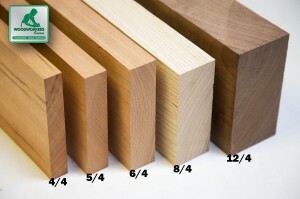 Alder lumber comes in random widths and lengths, with a uniform thickness. 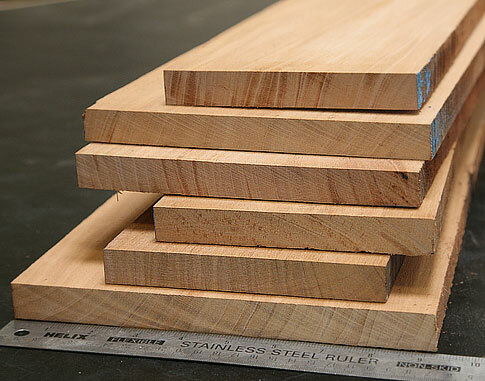 I was mostly pleased with the order I made for this slab of 8/4 Alder. One problem I did have was, when placing the order, I saw that there was the option of ordering 'knotty' lumber at a reduced price. I chose the Alder that was supposed to not have knots, but when I received it, there were several knots throughout the slab. The Alder was for a guitar body, and I'll have to strategically piece the wings of the guitar to avoid the knotted sections. 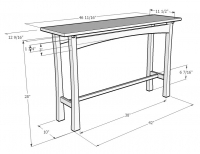 Otherwise I was very happy with the order, and I will certainly order from Woodworkers Source again. Great pieces of wood. I didn't expect much from Alder, having limited experience with it in the past and I originally intended to cover them with a prettier veneer. But once I got the blanks and looked at the pretty grain figure, I decided to use them as is. No complaints and it was a great decision! Ordered 12 bf and when I opened it up it had 5 knots throughout the 2 pieces I was sent. I ordered so I could build a few guitar bodies and will be lucky to get 1&1/2 out of what I was sent. Emailed and called and had to leave a message and no response from customer service. Very nice quality. Consistent grain, no blemishes. The Alder wood I received from you was exceptional. It was exactly as described. It was well wrapped for shipping. No complaints.